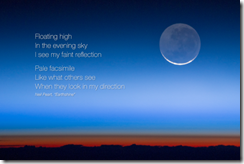 The NASA website Earth Observatory featured Neil Peart's "Earthshine" lyrics superimposed on a photo of the earthshine phenomenon. You can also download a hi-res version of the photo (without lyrics). According to the website, the photo was taken on July 31 2011 "by an Expedition 28 crew member onboard the International Space Station." The website included the following info about Peart: "Regardless of when you spot it, earthshine can be an inspiring site. 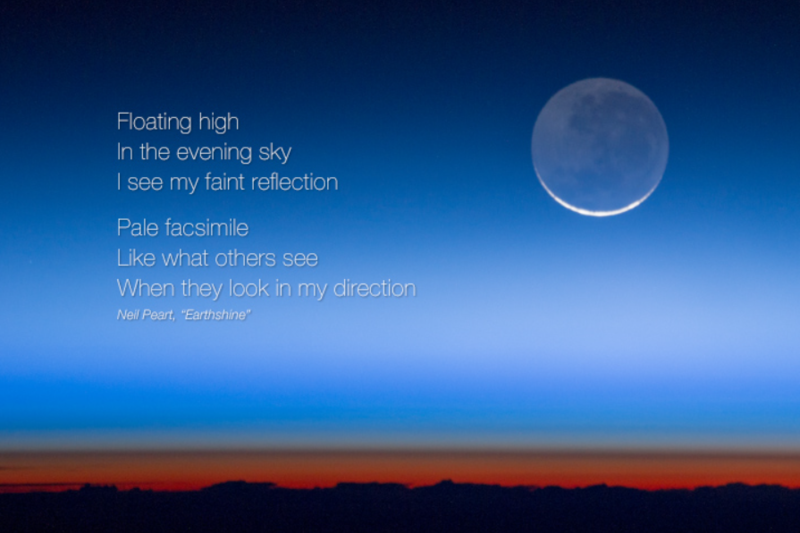 The phenomenon is captured in Neil Peart's lyrics for Earthshine, featured on Rush's 2002 album Vapor Trails. Peart often writes about scientific themes, including Countdown from Signals, which recounts the maiden launch of Space Shuttle Columbia. Earthshine begins by describing the orbital mechanics that make the phenomenon possible: 'On certain nights, when the angles are right.'" Tonight when the new Moon rises, or in the next few nights when the Moon is a slim crescent, go outside and look up. You might see Earth's reflected light in the dim glow. 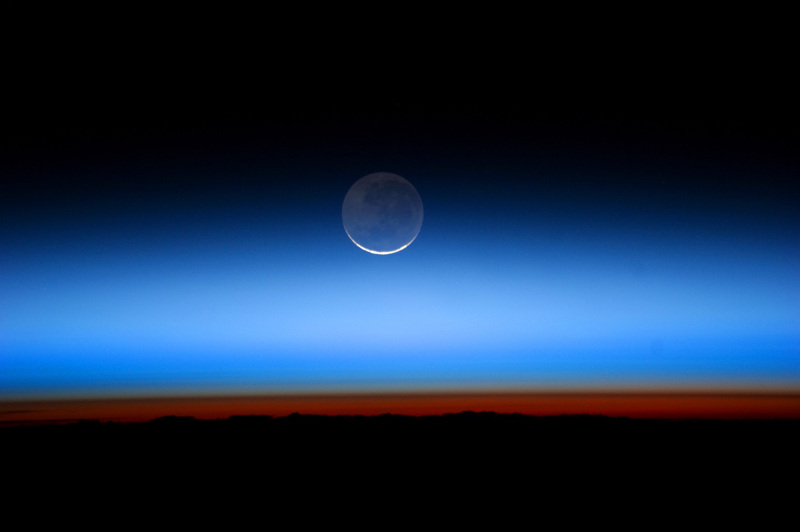 A new Moon occurs when all of the Sun's light is reflected away from Earth, and the side of the Moon facing Earth is barely visible... Sometimes the dark face of the Moon catches Earth's reflected glow and returns that light. The dark face of the Moon has a faint shine, a ghostly version of a full Moon. The phenomenon is called earthshine. It tends to be brightest between April and June, though it does occur at other times of the year. Is there a new moon tonight? Use the following graphic to see the current phase of the moon. Thanks to Cygnus-x1.net for the head's up!